The Shelter Dome (3.5) is a 3.5m free standing shelter. Fully seam sealed and silver coated to provide maximum protection from both sun and rain. the perfect addition to your campsite. The Shelter Dome provides a large shaded area in the campsite. 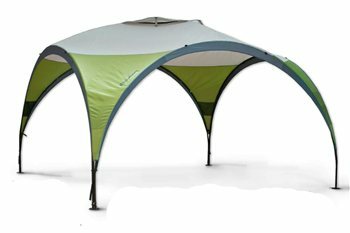 The sides are large enough to go over any Zempire Camping dome tent entrance.